Stuffed peppers can be made in a variety of different ways. Almost all of them include meat, rice, and cheese, like the ones I made here. That’s why I was so intrigued to find this recipe, which includes neither rice (or any starch, for that matter) nor cheese. The reason for omitting such products was to make the recipe “paleo.” Now, let’s be clear: I don’t really understand the paleo diet, nor do I care to; however, I had some sausage I wanted to use and this looked like a good way to do it. Also, the whole thing is done in the slow cooker, which makes life way easy. 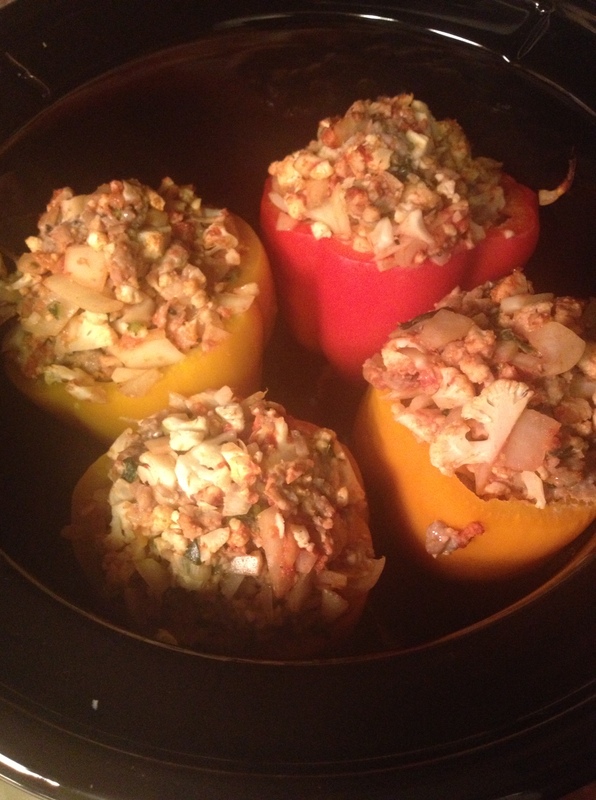 And because everything is stuffed inside the peppers, the slow cooker doesn’t even really get dirty. The recipe says to cook for 6 hours on low but I didn’t have that much time on my hands so I cranked it up to high and reduced the time to 2 hours and 45 minutes. Without those binding agents, the filling falls apart once you cut into it, but the flavor is all there. Speaking of flavor, if you get good sausage you won’t really need to add any herbs and spices – just salt when you’re at the table. 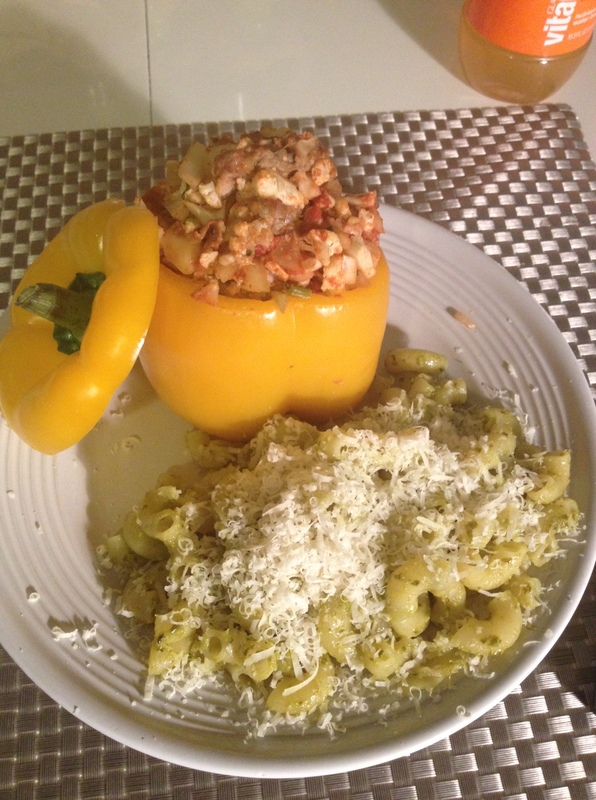 I felt that since I skipped the carbs and cheese in the peppers, I could serve this dish with a side of pesto pasta. I gotta get my empty calories in somehow.